Importance means having meaning. There are many things that people feel are important for young people: school, good grades, sports, and accomplishments. Ask yourself, What things were important to you one or two years ago? What things are important now? Your child, no doubt, is most important. And your child thinks you are most important. Without your succeeding as a mom, his life is going to be hard. The good news is that you’re up to the task. This mothering role will teach you more about yourself than you ever expected. You’ll work harder than you ever have. You’ll prove you’re strong and capable. Your care for your child will not only benefit him, but it’ll also show you (and the world!) what you’re made of. Parenting comes with big obstacles at times. Yet as you’ll see in the following often-told story, sometimes human beings can do the impossible when it comes to their children. “There were two warring tribes in the Andes, one that lived in the lowlands and the other high in the mountains. The mountain people invaded the lowlanders one day, and as part of their plundering of the people, they kidnapped a baby from one of the lowlander families and took the infant back with them up into the mountains. “The lowlanders didn’t know how to climb a mountain. They didn’t know any of the trails the mountain people used, and they didn’t know where to find the mountain people or how to track them on the steep terrain. “Even so, they sent out their best party of fighting men to climb the mountain and bring the baby home. “The men tried first one method of climbing and then another. They tried one trail and then another. After several days of effort, however, they had climbed only a couple of hundred feet. “Feeling hopeless and helpless, the lowlander men decided that the case was lost, and they prepared to return to their village below. “As they were packing their gear for the descent, they saw the baby’s mother walking toward them. They realized that she was coming down the mountain that they hadn’t figured out how to climb. “And then they saw that she had the baby strapped to her back. How could that be? You’re a mom now, and the obstacles you face may seem as big and insurmountable as that mountain. But there’s one thing that’s even more powerful than your challenges. That’s your love. Love is the most important ingredient when it comes to parenting. Love, as you will discover, can help you to achieve the impossible. Before getting pregnant, I hadn’t thought much about what I wanted to do with my life, except that I’d considered being a teacher and hoped to be married with three or four kids someday. After getting pregnant, I thought it really was no use to think about those things anymore because I had messed up. I was going to have a baby, and so I’d just have to take whatever the world offered me from there. Do you feel that way? Do you think that because you’re a mom at a young age that all the plans you once had aren’t possible? Maybe you never really considered what your future looked like. Maybe you never allowed yourself to dream. I want to encourage you to get over the idea that because you’re having a baby at a young age, you can’t do much with your life. Instead, you now have an even better reason to dream and plan for a good future. After all, you have not only yourself to think about but also your child. It would have been easy for me to just give up and not try. I’d seen that time and time again in the people around me. I have many family members who’ve worked minimum wage jobs their whole lives, who have never owned a home, and who never got their high school diploma. In fact, when I found out I was pregnant, I dropped out of high school too. I’ve attended numerous writers’ conferences. I’ve written hundreds of articles for national magazines. I’ve won awards for my writing. I’ve written more than forty-five books. I’ve homeschooled three children all the way from kindergarten through high school. I’ve traveled to more than forty states. I’ve traveled to twelve countries. I’ve been interviewed on television. I’ve hosted my own radio show. I’ve been married for twenty-five years. I’ve helped start a crisis pregnancy center. 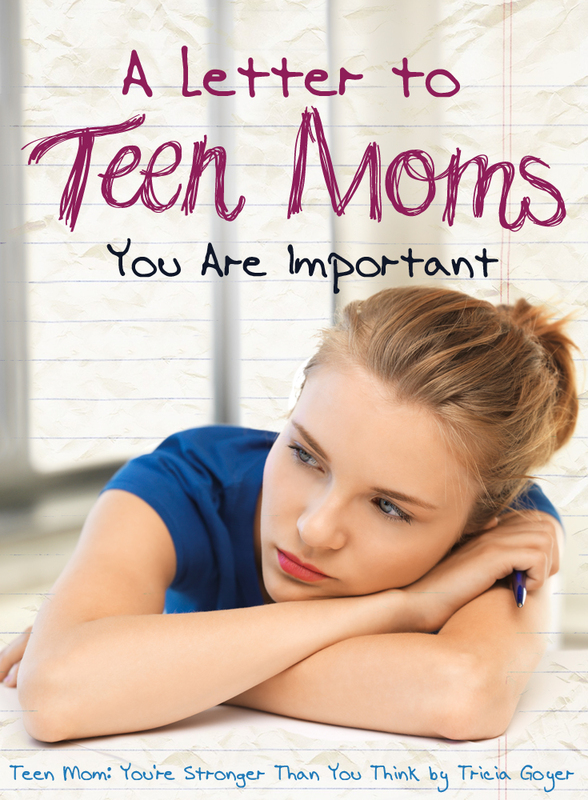 I’ve led a teen moms’ support group for twelve years. I’ve shared my story of being a teenage mom on stage in front of five thousand women. I’ve taken my kids to Disneyland and Disney World many times, and my whole family has gone on a cruise. I’m forty-three years old, which may seem ancient to you, but I’ve had a good life. And I didn’t do all those things right away, but as the years have gone by, I’ve been amazed to see how my life has turned out. When I first had my son, I wondered whether my life would amount to anything, and then I decided it could if I put in some effort. My goals were small at first. I got my high school diploma, and then I signed up for college classes. I went on a date with a really good guy who treated me well, and we eventually got married. I dreamed of becoming a writer, and so I babysat for a year to save up enough money to attend my first writers’ conference. At that writers’ conference, I met other women who encouraged me, and I kept in touch with them. I wrote little things while my kids napped. (I had three kids by this time.) And I sent things out to magazines. I got more than a hundred rejections, but I didn’t give up. I saved up my money again and went back to the conference. Soon I started getting magazine articles published, and later, books. Success has a way of building on itself. Hard work pays off eventually. If you could be successful at anything, what would it be? Consider one step that you could take toward that dream. Every success starts with a first step. Think you can’t do it? Think that you’ll be stuck where you are forever? It’s up to you. You get to decide! The years are going to go by anyway, and you might as well spend them pursuing something great. You can either spend your teens and twenties working at McDonald’s with no plan to change, or you can work hard at your McDonald’s job, finish your GED, sign up for college, and get an internship at a job you really love. No, there’s nothing wrong with working at McDonald’s, but is that how you want to spend your life? I thought about this when I returned to northern California for a high school reunion. I took my kids to McDonald’s to show them where I once worked. Twenty years had passed and the building looked tired and old, but I was most surprised when I saw that some of the people I had worked with in high school were still there. They were still complaining about their jobs and about how they still weren’t able to make ends meet, but they hadn’t done anything about it. It’s wonderful to work wherever you can get a job, but don’t limit yourself. I saw my McDonald’s job as a stepping-stone to get the money I needed to do more. Who knows, maybe you’ll even stay with McDonald’s, work your way through management, and buy a franchise! Just remember that you’re stronger than you think. Don’t give up too easily. Don’t settle when, deep down, you know you can do more, give more. Mom, you’re the one who will determine your future. Don’t let anyone tell you that you can’t amount to anything. That’s not true. You can work hard to achieve anything you set your mind on. Surround yourself with people who believe in you. Find other people who can support you, help you, and offer help in return. Also, know that you were created for a reason. God made you, formed you. He made and formed your child. He has a good plan for your life. You are important to God, and that makes you important. And even if you don’t “accomplish” anything that makes the news, you are still important to God. You are also still important to your child. But sometimes understanding that you are important helps you to go on to do great things. Think of it this way, if you tell your child day after day that he is going to do great things and help and influence people, he will most likely grow up to do great things and help and influence people. And if you say the same thing about yourself, well, that’s exactly what you will do too. 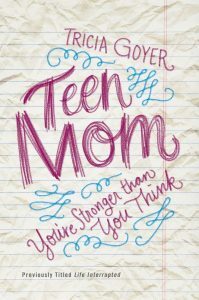 Excerpted with permission fromTeen Mom by Tricia Goyer, copyright Zondervan, 2015. I am 16 and have a 6 month old son who is the love of my life. 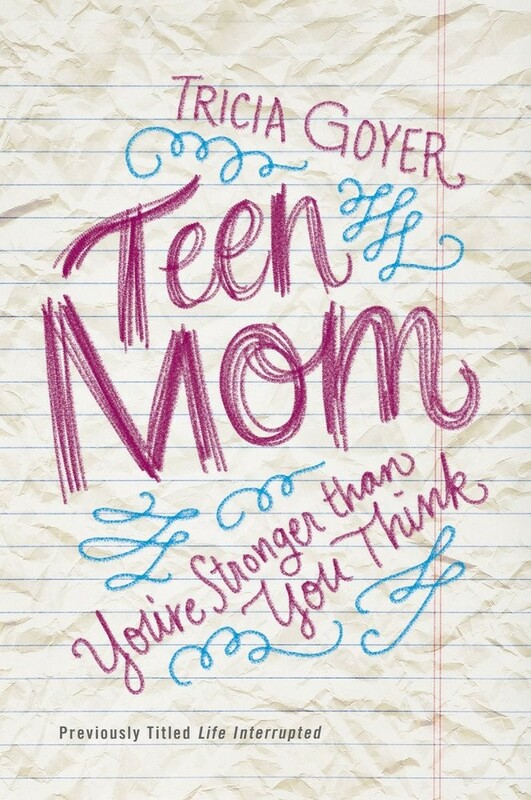 I wouldn’t change a thing in my life at this point, but I don’t think that is how every teen mom feels. There can be many different reasons why they may feel like a low life, or use less. They could have a lack of support, or may have had to give up dreams that they have had since they were a little girl, because they are now responsible for another human being. But what they forget in that choosing to be a teen mom means, keeping your baby, and raising him or her to be another amazing human being just like their mothers. It may seem like when you get pregnant you have no other choice then to be a mother, but that isn’t true, there is adoption abortion, or you can choose to keep your baby but not be the true definition of a mother. But when you decide to be there for you child and provide the best like that you can for them that is a tremendous accomplishment. And while you feel alone, and hopeless, there are so many girls that are going through the same thing and are looking up to you. Although you may not see people, or talk to people, there is always someone that is in or is about to be in your situation that is looking up to you for guidance, weather it is acknowledged or not.